The 2015 Feast of Tabernacles has arrived! Visit our FOT site for an activity schedule, list of speakers, and more information about how you can join us in beautiful East Texas. Announcing a Feast to Love, a Feast to Remember! You’ve waited all year to celebrate the 2015 Feast of Tabernacles with Born to Win. Ask anyone who joined us last year for the Feast. They will tell you it was awesome! We’ve searched high and low to find the perfect venue for you to worship, enjoy, and rejoice. For eight days in the fall of the year, Christians in our tradition pause to celebrate the “Feast of Tabernacles.” It reminds us of an important part of God’s plan and the work and ministry of Christ as we look forward to his reign upon the earth—a glorious time for all mankind. We worship, rest, play, and learn together. Every day we worship and glorify God in song, pray, and learn more about Scripture. Everyone’s welcome and no prior reservations are required. There will be enjoyable activities for all ages, many opportunities for fellowship, and fun-filled classes for the kids. Sermons from gifted speakers will uplift, encourage, and educate you. Come and keep the Feast with us. Come and worship for one day or eight, but come. You will grow deeper in the grace and knowledge of our Lord Jesus Christ. We have good news! God has led us to Bella Vista: the former CGI facility right on beautiful Lake Palestine. Having been built for a church, it’s perfectly designed for our program! A wonderful auditorium, plenty of classrooms for seminars and fun-filled YEA classes are provided. at such an affordable price. Born to Win has negotiated specially-priced housing to meet any budget and make your Feast affordable. Whether alone or in a large group, your needs can be met. You can find a suitable, comfortable place to stay whether you’re camping, are coming in a motor home, enjoy a bed and breakfast, prefer the amenities of a condo, or like staying in a hotel. Call Linda at (903) 839-9300 or 1-888-242-5344 for information and assistance. Hurry, the real gems will go fast! We’re putting together a list of our best speakers for this year’s Feast. These sermons will inspire you to greater heights in your walk with Christ. You will add to your Bible knowledge. Each sermon will help you grow in grace and knowledge of our Lord, Jesus Christ. These speakers will be published as soon as this schedule is finalized. The Bella Vista provides the best place for the family picnic. We don’t have to leave the premises to have a whopping good time. It has the atmosphere and a perfect spot to grill burgers and spread a good picnic meal. Games for kids and adults alike will be waiting for you to participate. To add icing on the cake, it’s waterfront, right on Lake Palestine. 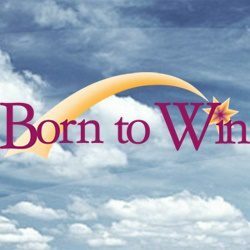 Again, Born to Win will offer Christian Living, current events, and practical seminars at the same time as the YEA classes. Drop your kids off for these classes while you attend a seminar of your choice undisturbed by the needs of small children. Bring your kids an hour before services to fun-filled, exciting classes that will teach them about God their Father and the Bible. We don’t lecture your kids, we make learning the Bible fun, exciting, and a challenge. This is only our initial announcement. Check cemfot.com or “Feast of Tabernacles” under the “Events” menu above for more information as it becomes available. If you have any questions or would like to volunteer, please contact us. Christian Educational Ministries was founded as a service ministry with two major goals. First, in the hearts of all Christian people is the imperative to share the Gospel with the world, to evangelize, to make disciples for Jesus Christ. Second, it is our desire to teach those who are disciples of Jesus all that He commanded His disciples to do (Matthew 28:19–20).